Summary: Here are fast and full-featured DVD converters we selected to help you convert DVD to video easily and quickly. There are a lot of options to choose from at simply making a Google Search for the best DVD converter software and it returns a long list of such capable programs like Freemake Video Converter, DVD Shrink, DVD Decryptor and others that offer all the services for free of cost. In some cases, the program might have a paid version as well, such as DVDFab DVD Ripper that offers a 30-day free trial that can rip any DVD to any mainstream audio and video file formats used in the industry and the market today. It has support for all major OS and flavors. If you're looking for a free DVD converter, then you can simply start using one of those, however, they may or may not be sufficient in ripping all kinds of DVDs such as Blu-ray DVDs or all types of protections and DRMs imposed by producers and so on. There is also the fact that ripping DVDs of large size require a lot of time, and some software might take forever to do that, so speed is also an issue to be considered here. Thus, when all these things are considered for a potential DVD converter, the list gets narrowed down to just a few of them. Then, you could also read reviews and list of features on their official website and make a decision to begin using one of them. Again, not to mention, installing and uninstalling components or parts of a software is also very important. There a lot of free DVD converter and burner, but they also come with a lot of bloatware, malware, and programs that get installed by default clubbed with them to the system. They are hidden beneath the main program and come as supplementary software like toolbars and so on. This is also another reason that paid programs are often preferred to free of cost solutions, if not always. This is a program that continuously keeps adding presets to the list of rich library of audio and video file formats arranged in different file types by extensions, resolution, device name or brands and so on. 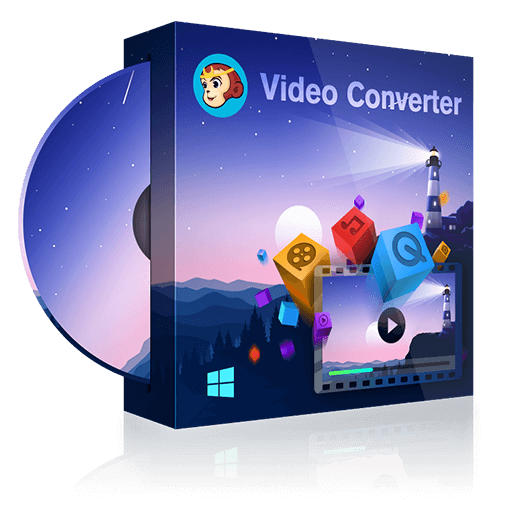 It makes your life easier by selecting the DVD converter to rip to a particular device compatible file format such that it is directly playable on it without any further problems with optimal quality. It can even add and converts stuff in 3D that is useful for ripping movies available in 3D from DVDs to 3D file format that is supported by your computer for instance. These will also require 3D media player on your computer too. This also comes with a full-featured inbuilt video editor that helps you to edit the content of the DVD into a customizable video before ripping it and saving it in a file. It gives you complete control over things like the beginning and end of the chapters, audio tracks, subtitles, audio and video parameters, and many more things that can help you customize it in your own way. There might be cropping and trimming options, in some cases. The other thing is about bypassing the restrictions posed by DRM authorities that do not allow ripping a DVD. This program can bypass most of the protections legally and allow your media player to read the contents of the DVD and playback them. There are some latest technologies that have been used to make this software a ready to use DVD converter and burner. This also contains a DVD Creator module in its main program that can further allow you to burn the converted or ripped file, customized for your own type, and burn into back to a DVD. The technologies used in this consist of CPU and GPU utilization of the modern architecture like multi-core processors and GPU units. These speed up the conversion, ripping and burning processes much more than a traditional program can achieve. This is made possible by Intel Quick Sync and NVIDIA CUDA solutions that are natively compatible with the program, and if your computer had onboard graphics processor or inbuilt GPU as in Intel Series, it can leverage them for faster ripping and burning. This is a huge software that allows conversion between video and audio file formats in over 500+ types for gadgets, and devices and much more. It allows ripping videos for any type of DVD, ISO or Folder while keeping its native library structure. The best thing about it is the free of cost, totally. It also combines video editing and conversion into a well built compact system. The design is very attractive considering the colorful and appealing icon style. It also has several other modules that are targeted towards special video audio conversion types. It has also done these steps completely online recently such that you can do the file conversion through URL links and use bigger workstations at the cloud to convert your huge files in minutes. It is usually helpful in case of large queued conversions as well. However, in order to rip the DVDs, it is required to do it using the same online tool. You have to browse to the DVD drive and upload the contents. Do you love watching mystery movies? Here are top 4 best mystery movies on Netflix for you to enjoy. The article also shows you how to rip Netflix DVD/Blu-ray mystery movies to digital formats you need. How to Play DVDs on Windows Media Player? Windows Media Player can be used as a DVD player software to play DVDs. Here we will show you how to play a DVD on Windows Player. The free DVD burner that comes with Windows 10 will only offer you basic features, so here we made a list of top 5 advanced DVD Burning Software for Windows 10 for your reference.